Women's Wing Easter Sunday Tea Dance with SALT! 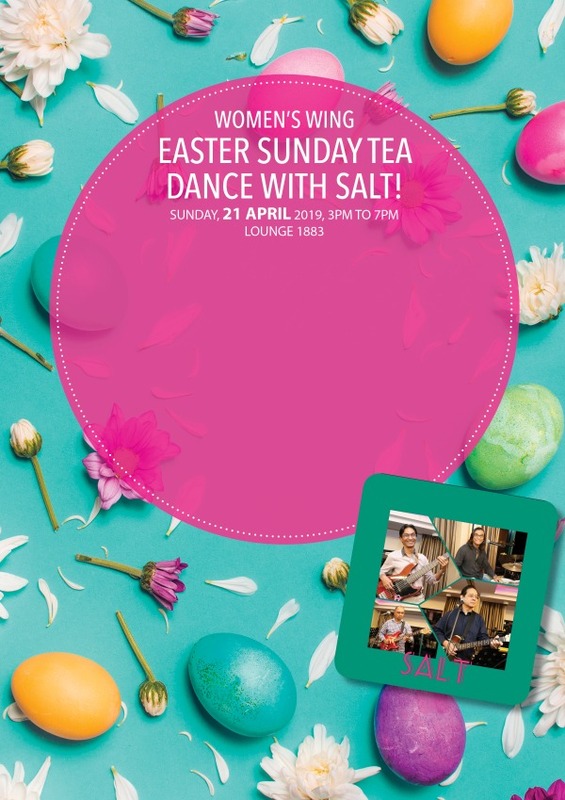 Join the Women’s Wing for an enjoyable afternoon of tea, friendship and dancing to the music of SALT! Register yourselves now to avoid disappointment. Registration is on a first-come, first-serve basis and will be closed once the maximum number is reached. Closing date for registration is Fri, 12 Apr.